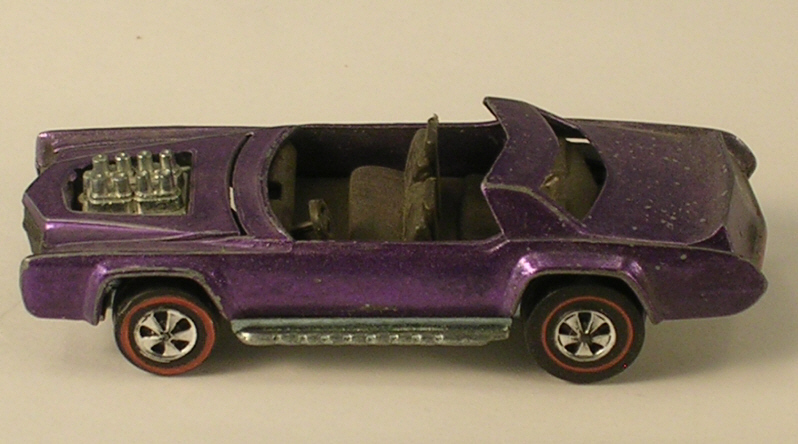 Offered for your consideration is a vintage 1969 Hot Wheels purple Sugar Caddy for parts, the glass top has gone missing. This belongs to a friend who is a toy designer but this was actually played with when he was a kid. The top is gone but he thought someone might have a use for some of the other parts on it. The paint is fairly scratched up as well as the top missing. If you have any questions please ask. Payment is due within 7 days of end of sale. Buyer is to pay shipping plus delivery confirmation and insurance which will be included in the shipping quote. Always willing to combine shipping if possible. Willing to discuss the possibility of international sales, email for availability and shipping costs to your country. All packages must be sent with a tracking number so for international packages that means Registered Mail or Express Mail, which ever will be the least expensive. All sales are final unless I have made a mistake in the description and then we can discuss returning it. Please note that all residents of California will be charged sales tax when they check out. ALL MONEY ORDERS MUST BE US POSTAL ONLY! Willing to consider offers on most all of my items. Please message me if you have an offer and remember to look in your SPAM folder for a response, I answer all questions.